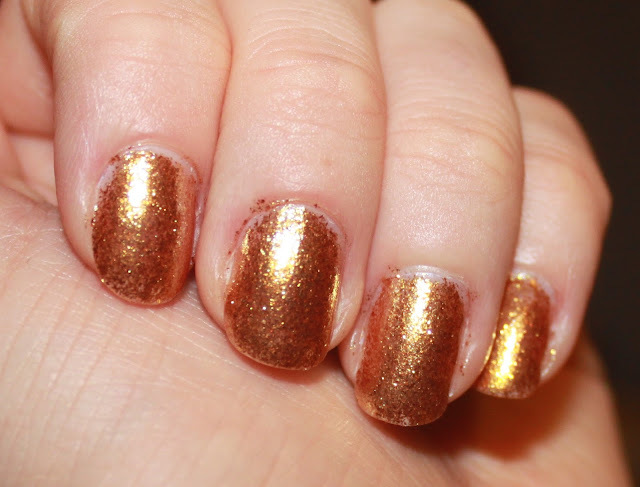 Another swatch from the James Bond collection from OPI, but this time I'll be sharing with you how I've been wearing two colours from the collection. I've got many compliments from this look as the colours really catch peoples eyes. It's so shimmery, sparkly and different. 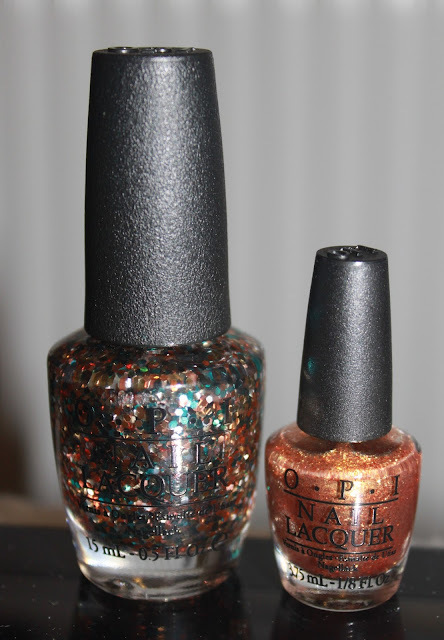 I first apply Golden Eye, I only have the small bottle, but you can get the full size in most OPI stockists at the moment. This look isn't for everyone, but I certainly love it! After applying Golden Eye, I then apply one of my favourites from the collection, The Living Daylights. 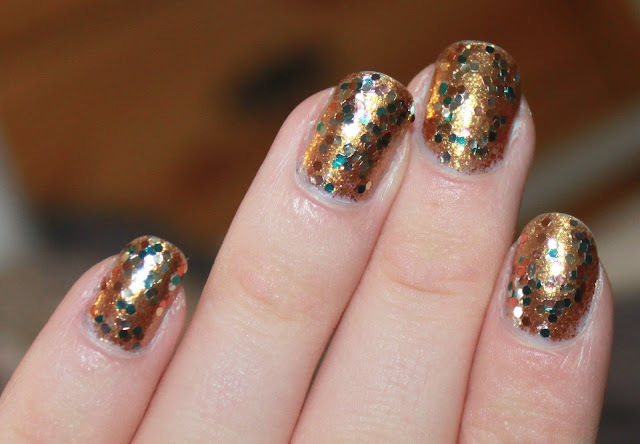 I love sparkles, and this is just a perfect colour for me. Santa did well at Christmas! It's sold out in a few places, so if you want to get it, I'd do it now!! It looks gorgeous over black too, and so many more colours! I love the final look, and I wear a lot of plain clothes with big accessories, so this look really works for me, and I keep getting told how lovely the nails look. This looks certainly isn't for everyone, as it's a little out there, but I really love it. If you have these colours give it a try! Found this little beauty in John Lewis if you're wanting a few from the collection at a great price, including Golden Eye from this post, John Lewis has it. Hope you enjoyed reading!